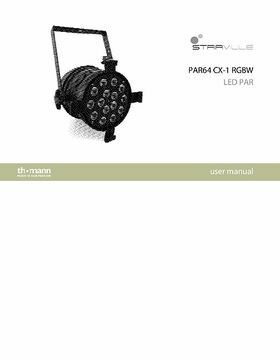 The CX LED PAR series delivers completely new colour creations to LED spotlights. The Multi-Chip LEDs enable a entirely new colour mixing possibilities in all ranges of visible light. Pastel colours, vivid base-colours or even white tones can be presented in uttermost precision. 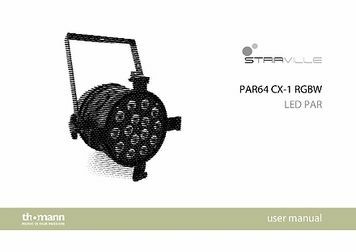 the LED PAR 64 CX-1 is equipped with 10 high-power RGB LEDs and 5 high-power neutral-white LEDs, which can be controlled individually. 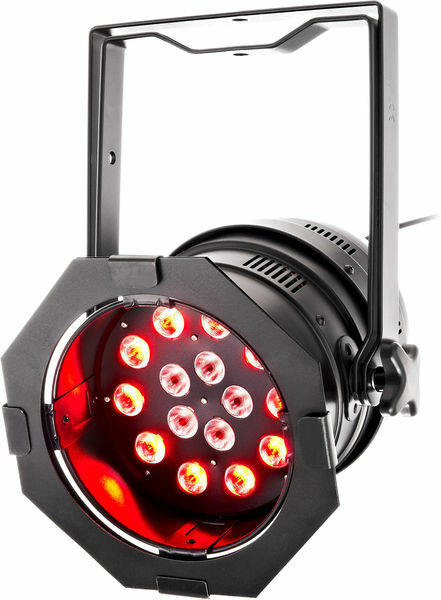 All features can be easily accessed directly via the elegant white LED display on the back side of the spotlight. These lights are great. I bought 2 to accompany my 2 Stairville LED Par64 MKII RGBW 10mm cans. I was interested to see if double the price meant double the light output. It's not quite double, but it's very close. When comparing the cheaper units to these, there are obvious benefits to spending the extra money. Firstly, the casing is sturdier, the bracket is more versatile (and stronger) and can be used as a floor mount or flown. As for operating the fixtures and changing settings, they appear to be pretty much the same. Light output and colour reproduction is the most important point. I am VERY pleased with my purchase. The quality and vibrance of colour is absolutely phenomenal for the price. The blues are extremely deep but still bright, the reds and punchy and vibrant and the greens are eye popping. I rated 'light output' at 4 stars instead of 5 because of 1 flaw which happens to be my only complaint. If you spend the extra on an RGBW fixture over an RGB fixture, this must mean that you want a white output too, right? Well unfortunately, the white on this fixture is noticeably dimmer than the RGB portion. 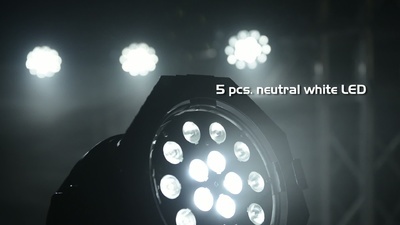 The RGB spectrum is produced via 10 tri-LEDs while the white is handled by 5 dedicated LEDs in the centre. Don't get me wrong, it's not a dim white at all. It's a little brighter than the white output on my cheaper cans, but in comparison to RGB, it is noticeably dimmer as I have said. Luckily, the dimmer white does not appear to affect colour mixing. I was still able to mix beautiful pastel and smooth colours with this light with heavy use of the white channel. It didn't prove to be any different from my other set. The only issue is when you want just white on it's own. Of course if you want increased brightness, just add all RGB channels to the W channel at 100% and you're good to go with an 'almost-white' output. 1 other small point is they are fan cooled, but they are very quiet fans and I don't think the fans will be audible in any application once these guys are up on the truss. Works exactly as expected, with appropriate build quality, especially considering the competitive price. I really can't compare though, as I have not used other units; but it's at least as good as I hoped, and no problems so far.  ID: 281339 © 1996–2019 Thomann GmbH Thomann loves you, because you rock!